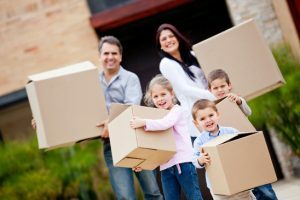 Selling and moving is a great time to purge. And if you’re like me, you may have moved the same box from place to place, never even opening it. So, when it’s time to move, here are 15 things you should never keep (and a few moving tips from the experts). #1. Unused kitchen gadgets and appliances. If you haven’t used a kitchen gadget in six months, you probably will never use it. One time use items, uni-taskers and other items that you just barely use, don’t need to be moved from one place to another. If you’re moving across town, you probably don’t need to get rid of all those condiments, but if you have cans of tuna fish, beans, and other items that you haven’t used in six months, it’s time to donate them. If you’re moving out of state or will be traveling a long distance, try to give a lot of your perishables to friends or family nearby. Moving is a great time to purge your closet and your dresser. Go through every single spot and pack what you know that you wear on a regular basis and donate other items. If you have an old ragged shirt with more holes than Swiss cheese, it’s time to simply toss it. Towels are usually cheap, they make great packing material, and should probably be replaced about every few years. There’s something fresh and invigorating about replenishing your new bathroom with fresh towels. If you’re like me, you probably have replaced cleaning products that you are not even out of. These products get buried in cabinets and forgotten and so you buy more. Now is the time to go through under sink cabinets, drawers and closets, and really go through what you need, consolidate similar products, and toss old, grimy cleaning products, sponges, and rags. #8. Old, used, or expired makeup and cosmetics. Do you have some almost empty shampoo bottles? Foundation from the 1990s, or some cosmetics that your friend made you buy that you absolutely hate? It’s time to toss it all and start fresh. We all start off in life with cheap furniture but as we grow and age, our taste begin to deepen. If you can buy the same furniture as it costs to move it, it’s time to get rid of it. #11. Anything you haven’t unpacked to since your last move. Like I said in the beginning, if you can even remember what in a box, it may be time to just get rid of it altogether. #13. Portable air conditioning or heating units. These materials and appliances have a lot of moving parts and they may be more expensive to move than to just leave or get rid of at the time. When we replace our bedding, we don’t often get rid of the old bedding in case we need to swap it out. But those old sheets, comforters, and pillowcases can definitely add up. It’s time to donate them and move on. #16. Anything you forgot you ever had. This goes along with the same idea of moving a sealed box from one place to another. If you forgot you had those books, CDs, or even pieces of furniture because they’ve been tucked away in the garage or attic, it’s time to be rid of them once and for all. Of course, Muphy’s Law, you’ll probably realize a use for something you got rid of as soon as you move in, nevertheless, your home and life will be a little less decluttered. Stay tuned to my blog for new listings, great deals, free night’s stay in Panama City Beach and other tips for buyers and sellers.